The Paradise City Resort & Casino in Incheon hosted the 2019 PokerStars APPT Korea. There were a lot of attractions at the tournaments including the ₩10,000,000 APPT Super High Roller ($8,767). 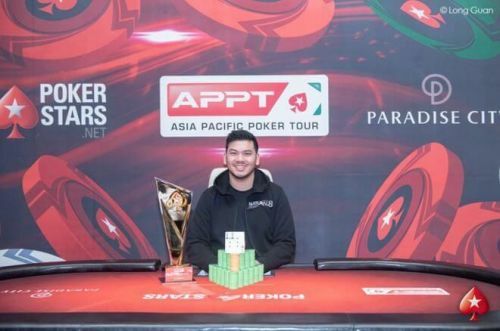 It finally came to an end when Malaysia's Michael Soyza defeated China's Jiang Chen in a heads-up round to win ₩178,890,000 ($157,423) in prize money along with the title. 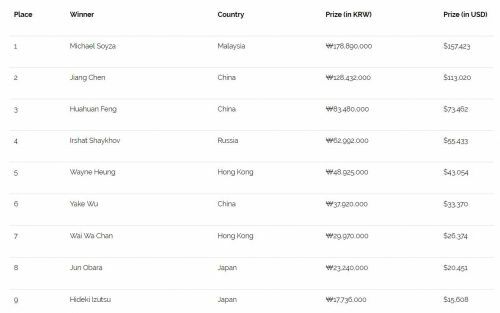 There were a total of 65 entries (including 11 re-entries) that generated a prize pool of ₩611,585,000. When Day 1 came to an end, only 21 had survived, and Jun Obara was leading the chips with a stack of 1,465,000. This was familiar turf for Soyza as he had won back-to-back trophies at this venue last year. He took home the title of APPT Korea Main Event and a Side Event in 2018. He also won the Triton Poker Super High Roller Series HK$500,000 No Limit Hold'em 6-Max Event a few weeks ago. The last one to depart before the money bubble was Randy ‘nanonoko’ Lew. His departure set the final table in motion. The first one to exit the table was Hideki Izutsu at the ninth place. The chip leader of Day1, Jun Obara was the next one to go after that Soyza removed Wai Wa Chan at the seventh place. Yake Wu followed soon after in sixth place. And, Then Michael Soyza, out of nowhere hit the accelerator and removed the reaming four players on the table in quick succession to win the title. Wayne Heung was his first victim, followed by Irshat Shaykhov and Huahuan Feng at fifth, fourth and third place respectively. Finally, He went head to head with Jiang Chen with a commanding chip lead of four-to-one. Chen couldn’t continue for long and succumbed to Soyza brilliance in the end.